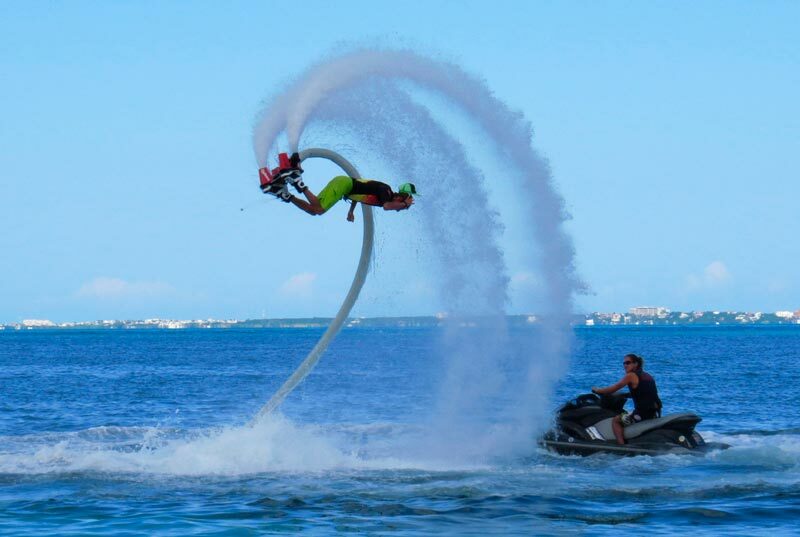 Flyboard, the trendiest water sport in the world is now available for you! Dive deep into the ocean or fly over the sea like a pro on the board. 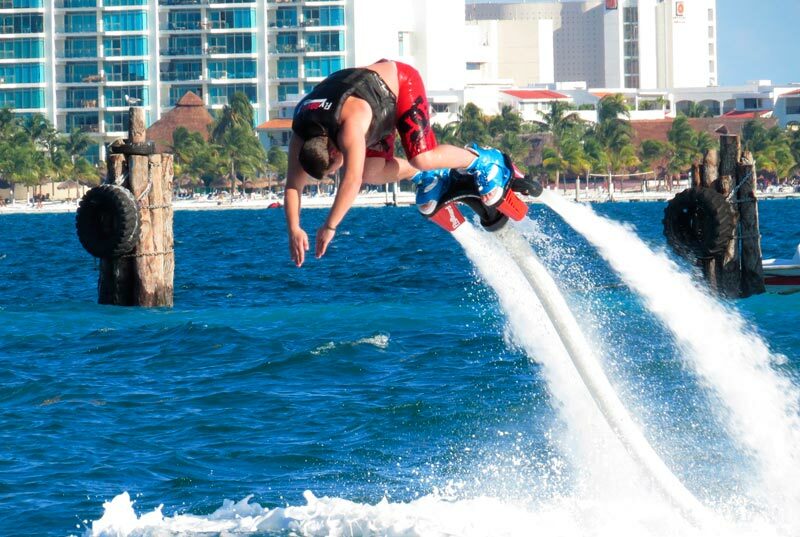 Flyboard Cancun requires no previous experience and is a 100% safe activity. Among the water sports, Cancun flyboard is one of the easiest to do, you'll be pretty confident after 5 minutes of practice! Do not miss the chance to live this experience, get it now! 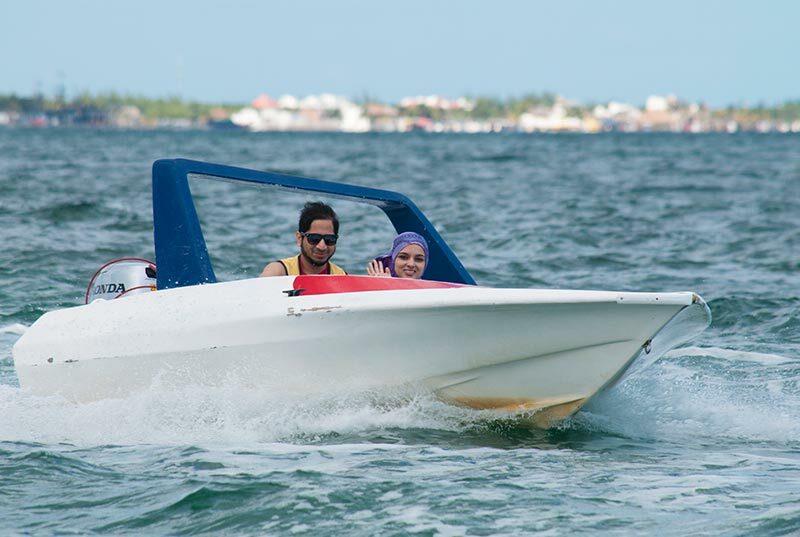 Mix 2 of the most fun motorized water activities in Cancun for 1 price. 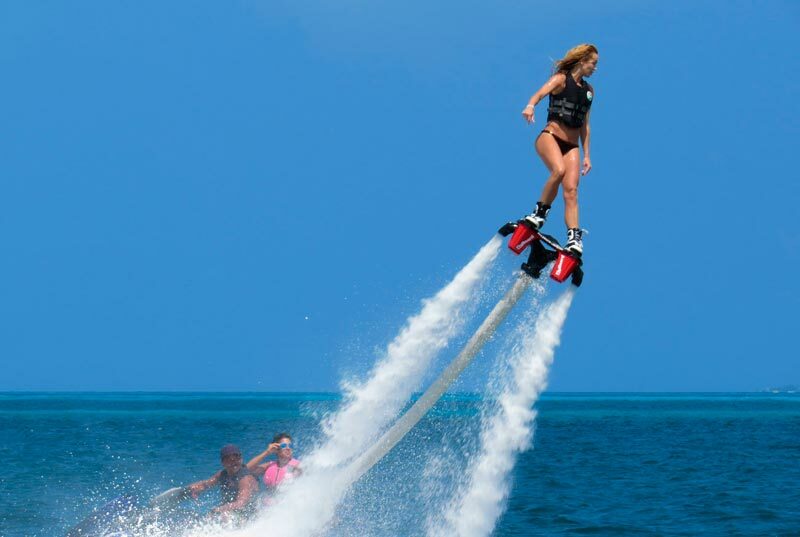 20 minutes of Flyboard where you'll fly 36 feet above the water and a 2.5 hours guided "Jungle Tour", where you'll drive your own speed boat and snorkel in the reef. No experience required for any of this tours. Full equipment, briefing and supervision provided for both attractions. Exclusive deal you won't find anywhere, book now! Jungle Tour: Bilingual instructor & guide. 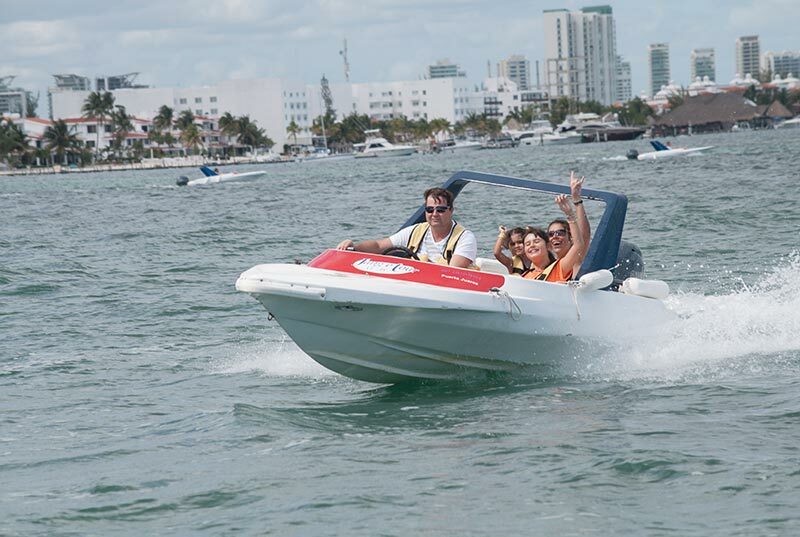 2 passenger speed boat (price per person). 2 hour boat ride (21 miles boat driving through the sea, lagoon and mangroves). Life Vest. Snorkeling gear ( mask, vest, snorkel, fins). 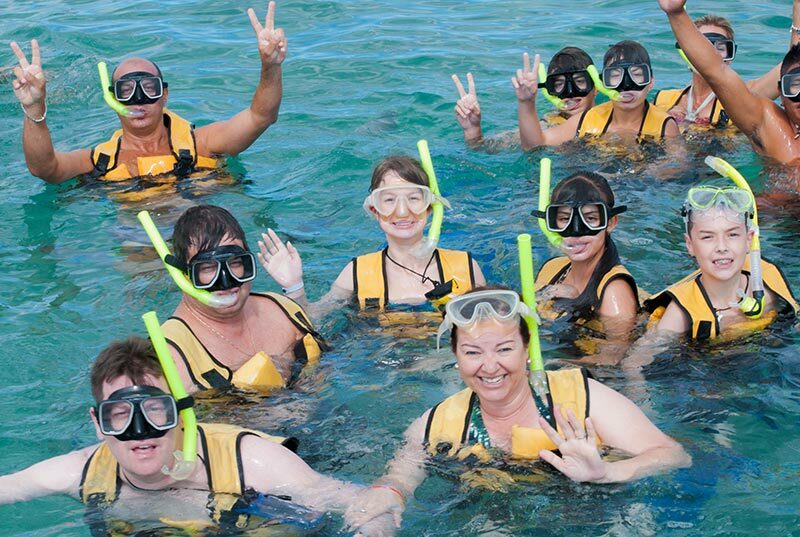 30-45 minutes snorkeling on the reef. . Bottled water. Flyboard: Flyboarding 20 minutes. Instructor with Flyboard International Certification (IFA). Introduction/ briefing of 10 minutes. Life vest. Photo and video service (optional with extra cost). Jungle Tour: Only +18 years old are allowed to drive the boat. Signing of responsive form is required. In case of kids, parents should sign instead. 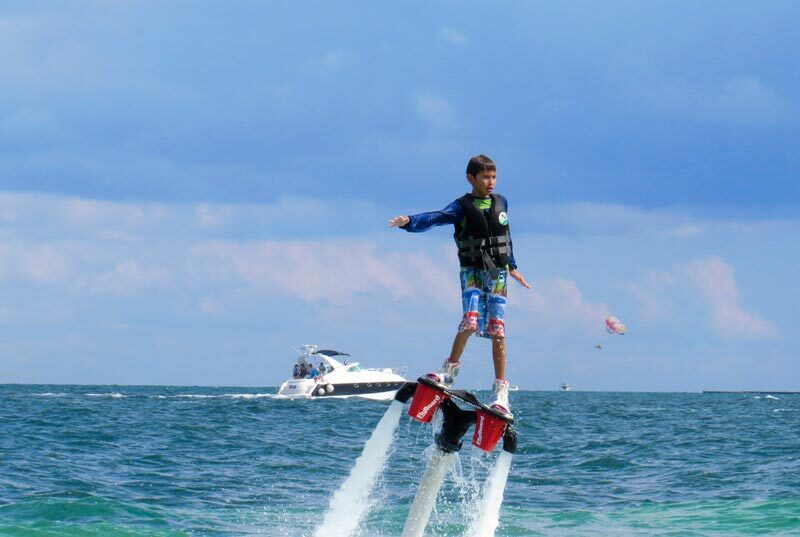 Flyboard: Participants must be at least 12 years old. Maximum weight allowed: 280 pounds. Underage participants must be accompanied by an adult. This activity is not recommended for pregnant women, people with neck or back pain, heart disease or those who have recently had a surgery. A responsive letter must be signed before the activity. In case of children, their parents must sign instead. 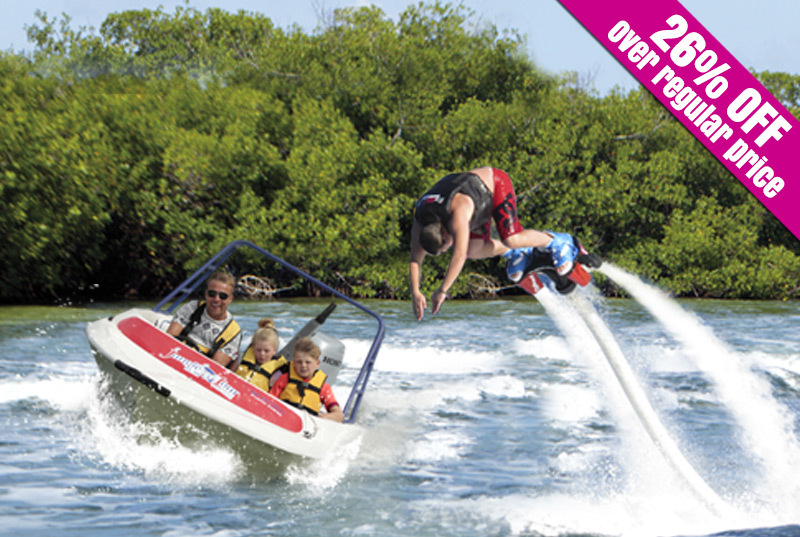 Dive as a dolphin or fly as a superhero up to 36 feet above the water with Fyboard Cancun! 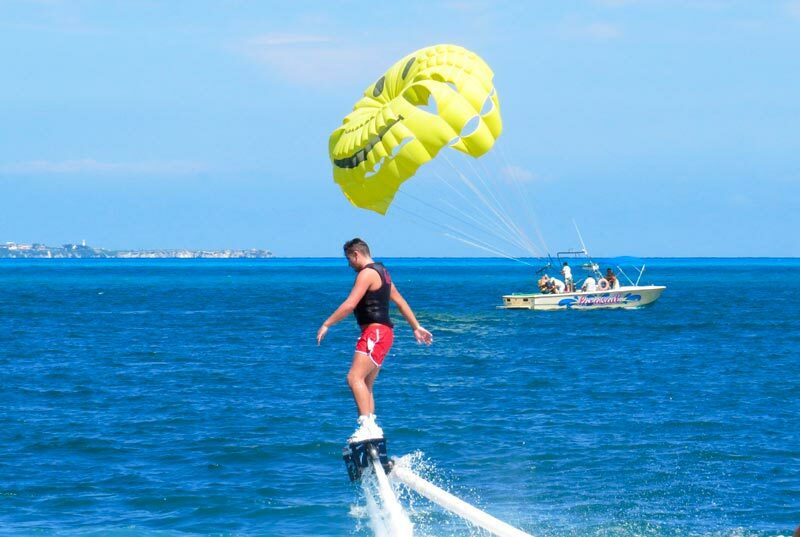 Enjoy flyboard for 20 or 30 minutes. NO previous experience is required. We offer a 10 minutes briefing (no extra cost) with our certified instructors members of the International Flyboard Asociation (IFA). Stop thinking and book now! Fly board (20 or 30 minutes). Instructor with Flyboard International Certification (IFA). Bring: Swimsuit, sunglasses, biodegradable sunscreen, dry clothes, towel and cash. Maximum weight allowed: 280 pounds. Underage participants must be accompanied by an adult. This activity is not recommended for pregnant women, people with neck or back pain, heart disease or those who have recently had a surgery. A responsive letter must be signed before the activity. In case of children, their parents must sign instead.